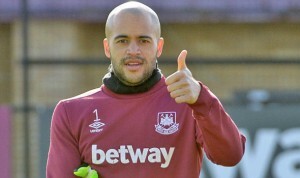 Darren Randolph has signed a new four-year contact with the Irons killing speculation that he could be on his way to Southampton. After a great Euro 2016 by putting pen to paper at the Hammers’ new Rush Green training base earlier today. “I’ve had a good first year at West Ham and this is another positive thing to happen to me at the end of a good first season and a good summer with Ireland. He told the oficial site: “It has gone better than I could have ever expected at West Ham since I joined last summer, playing as many games as I did and then starting for Ireland in the Play-off and at Euro 2016. ← Sakho for Baggies depends on other issues!